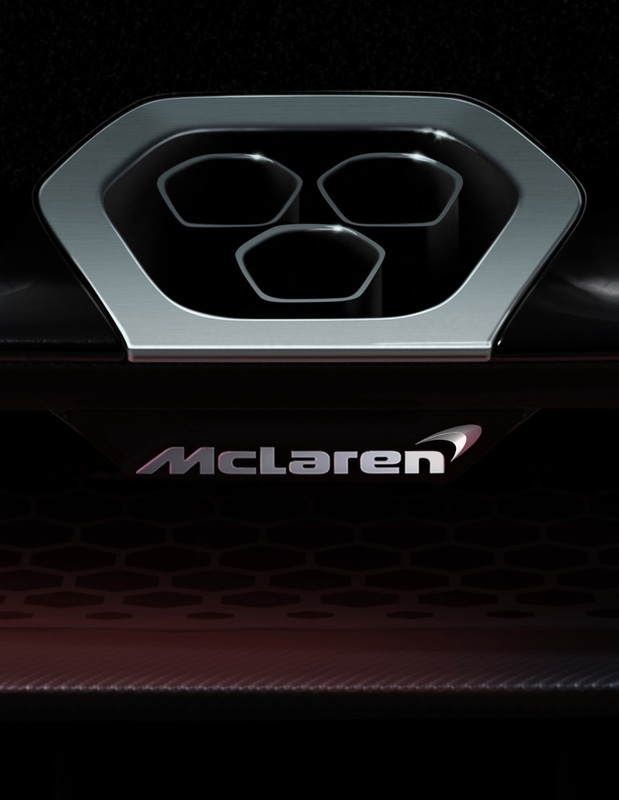 The slow reveal of what promises to be McLaren’s most extreme supercar yet continues with the release of another teaser image and a firm launch date. At the Dubai Motor Show this week, the British supercar manufacturer announced that the new model will be revealed online just past midnight (UK time) on December 10 – now less than a month away. 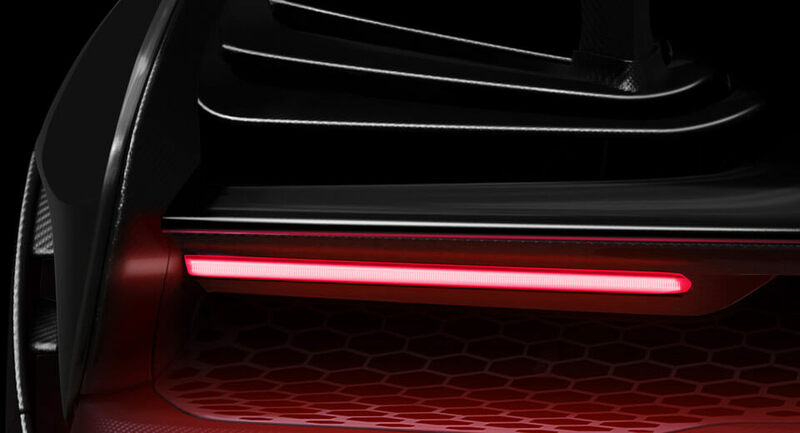 Following the first image (ostensibly showing the tailpipes) released upon the model’s initial announcement, today’s teaser provides a glimpse at what would appear to be its taillight – a thin red strip of LEDs – as well as some vents. 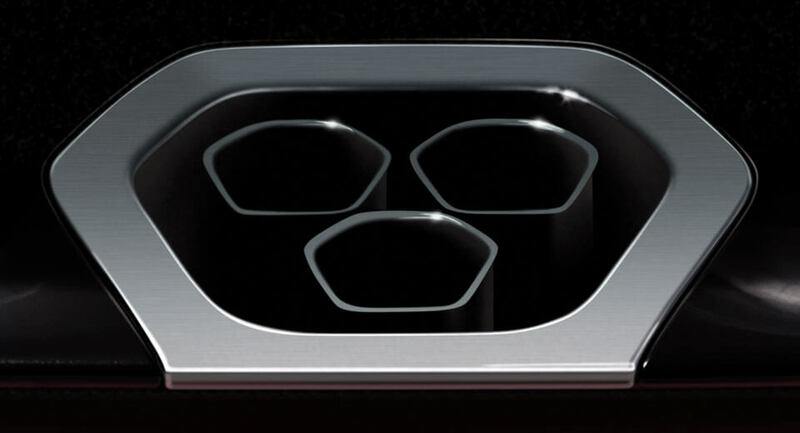 The proliferation of outlets we’ve seen thus far would seem to suggest that the new hypercar will be covered in louvers and ventilation to keep everything running at optimal temperature. The next model in McLaren’s Ultimate Series will follow the discontinued P1 (and P1 GTR) and predate the launch of the project referred to this point as BP23. The more touring-focused model is slated to revive the McLaren F1’s iconic 1+2 cabin layout, and we wouldn’t be surprised to see this one adopt a similar central seating position as well. Nor will we be surprised to see this model adopt a more powerful version of the 4.0-liter twin-turbo V8 (along with other components) found in the 720S, possibly with a hybrid assist. 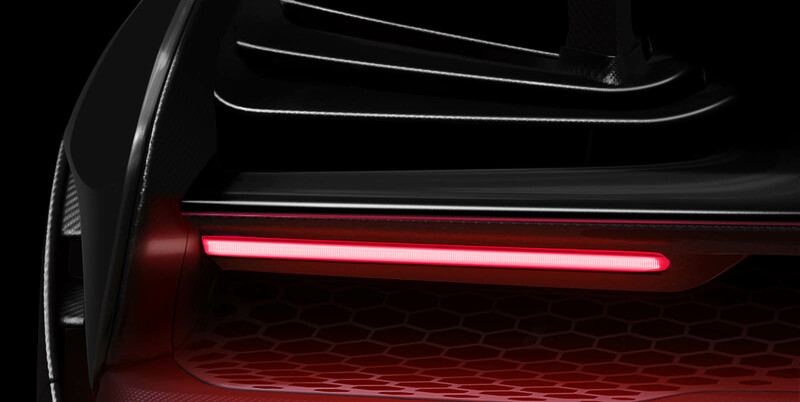 At this rate, we can expect another teaser or two to follow before the new model’s reveal on December 10, after which it will make its public debut at the Geneva Motor Show in March. Watch this space for more. 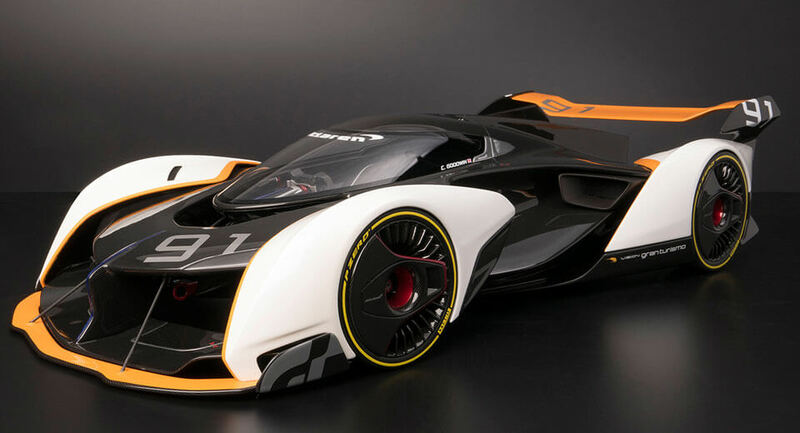 Most of the Vision Gran Turismo concepts designed for the PlayStation game never leave the screen, and while some participating automakers craft full-size mockups of their digital designs to show off, but McLaren never did – so Amalgam did it for them.